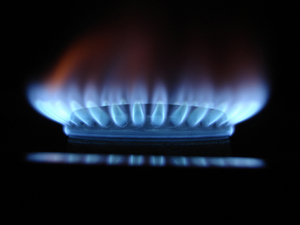 Centrica has revealed in a new report that it contributes more than Â£14bn to the UK economy. It is the first time British Gas's parent company has published such an economic impact report. Conducted by Oxford Economics, the report said as well as Centrica contributing Â£14.1bn to the economy as a whole, the firm also provides Â£4.2bn in total tax payments. According to the report, Centrica also helped provide 174,000 jobs in the UK and purchased goods and services worth Â£9.4bn from more than 6,000 businesses. The report is the latest measure from the firm to tackle negative criticism in the face of increased profits, especially when it has increased household energy bills. It is expected that Centrica will announce a profit increase of 15% to Â£2.77bn. The firm has been quick to clarify however that only 20% of its business is based on British Gas. Many other energy providers have found themselves increasingly under the spotlight as they announce high profits at a time when many households are struggling to pay their domestic energy bills. The firm recently announced the appointment of Chris Weston as the new boss of British Gas to work at further challenging this criticism. Previously managing director of British Gas Services, the part of the firm responsible for marketing boiler repair and insurance services to customers, for four years, Centrica now hopes Mr Weston will be able to spearhead its push to take the lead in 'helping to rebuild trust in the energy industry'.